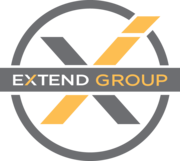 At the EXTEND GROUP, our goal is simple: concept and create dynamic campaigns with integrated strategies that generate leads, build loyalty, and create results. We’re here to make positive changes for your brand. Whether you’re seeking a la carte services or a totally comprehensive marketing overhaul, our skilled professionals integrate strategies based on your individual, dynamic needs as a growing business. All strategies are results-driven and tailored specifically to your organization and customer base. Rate and review EXTEND GROUP in Evansville, IN, United States! Share your experiences at EXTEND GROUP with your friends or discover more Local Services in Evansville, IN, United States.